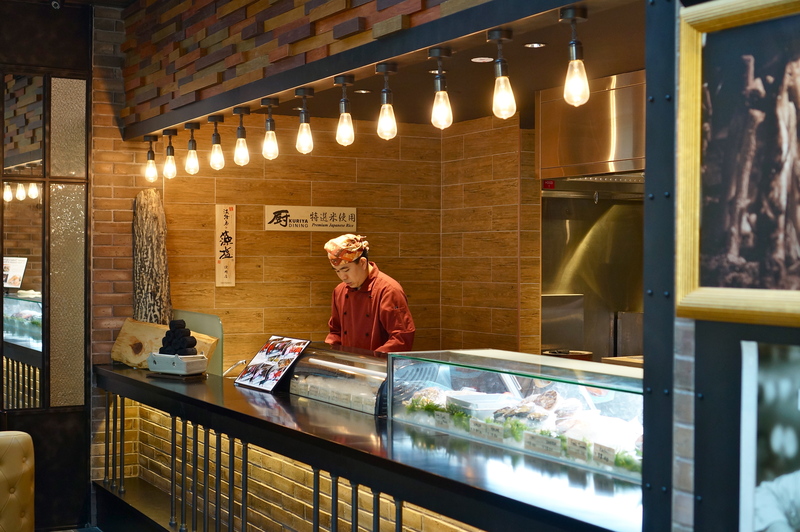 Sumiya opens at Suntec City after a very successful first outlet at Orchard Central! 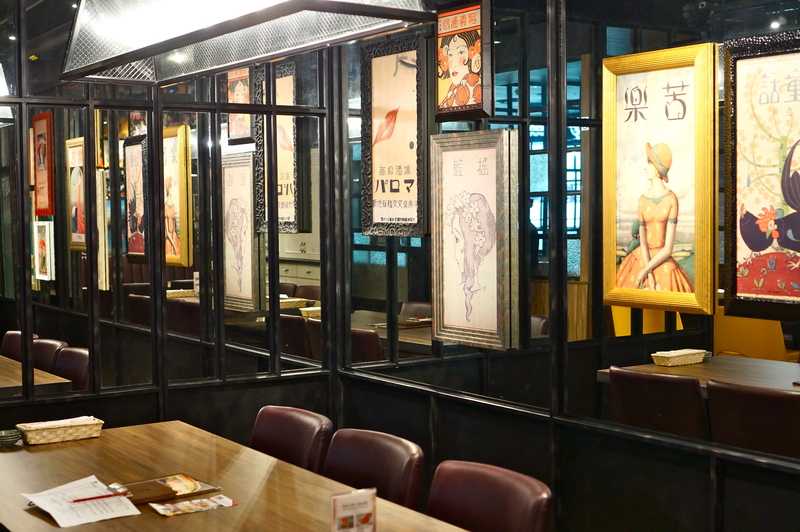 Following a revamp of Suntec City, it sits between Kushinbo and a 7-concept Japanese eatery, Eat at Seven. 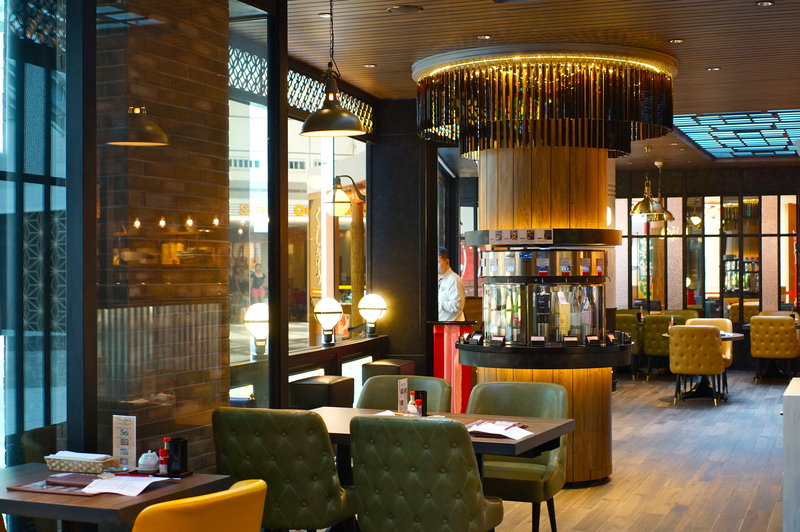 The branch here exudes a different ambience as compared to the one at Orchard Central, as it takes on a modern interpretation of retro Japan – a blast from the ’80s. Special mentions to the extra comfy cushy chairs and I love how you get high levels of privacy here as tables are arranged far apart from one another. There’s also a skylight that bathes the front section of the restaurant in filtered sunlight by day. I’ve been here once for lunch and twice for tasting, including an invited tasting. 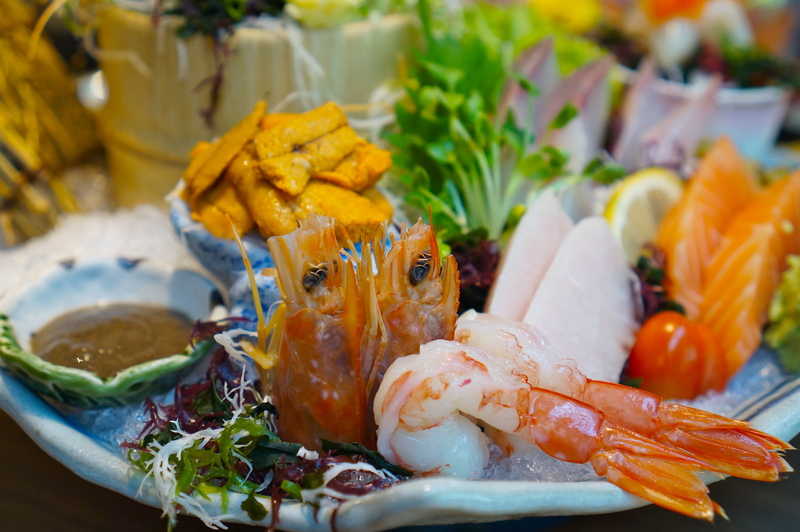 By the same group behind Kuriya, the quality of seafood is no doubt one of the highest you can get in Singapore, with shipments coming in 2-3 times a week, and Master Chef Tsuzuki Naoki certainly delivers an extraordinary and eclectic dining experience each time. There are flexible dividers to partition off private dining areas like this – creating a really pretty room! New place to throw birthday parties at! 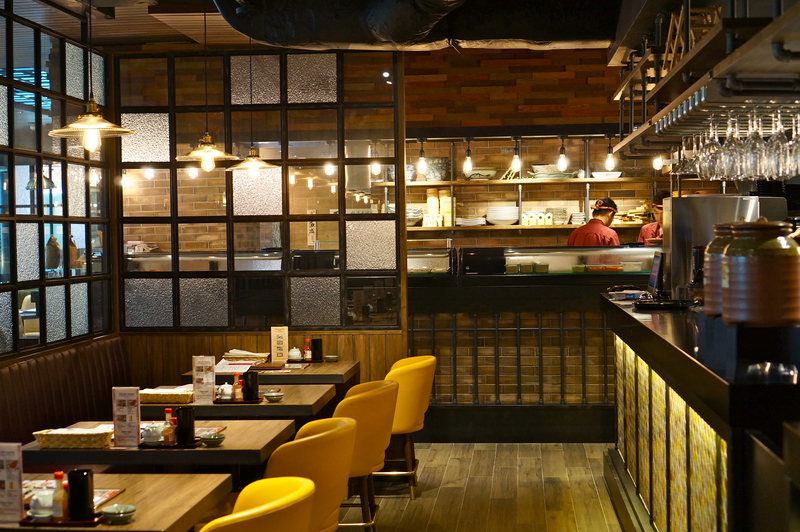 Cosy, warm lighting fills the entire restaurant. I was really impressed with the decor. 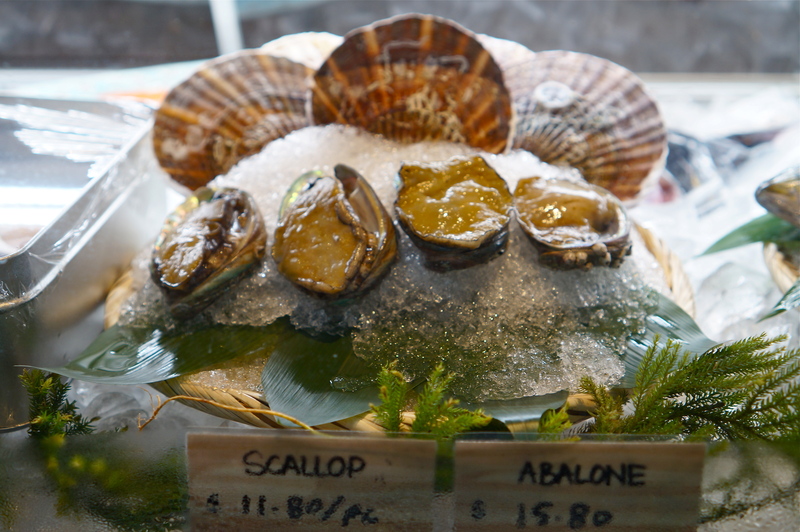 The freshest harvest from the ocean is displayed in the glass counter. I was surprised at how affordable the fresh abalone was! 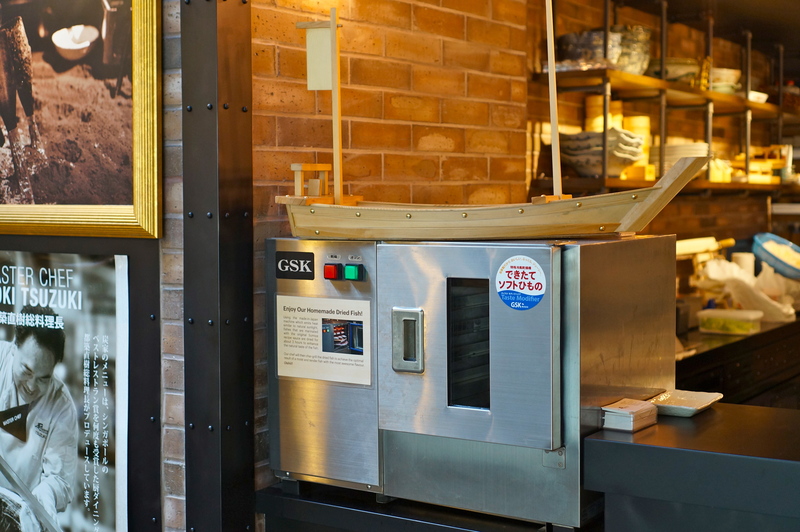 Now, you heard it here first: this fish-drying machine is the first in Singapore! It emits heat that replicates the warmth of sun rays, intensifying the natural flavours of the fish. 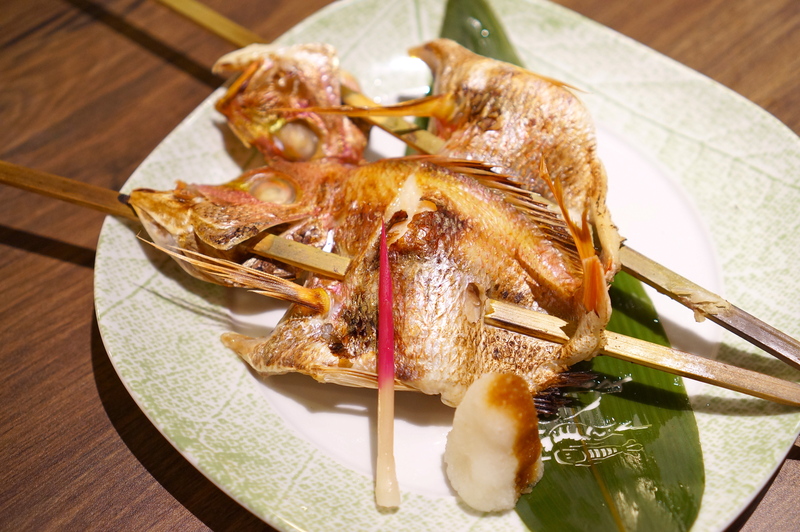 Thus, you’ll be able to enjoy fresh seasonal fish, have it dried with a proprietary marinade and then cooked irori genshiyaki-style, which I’ll be sharing later! 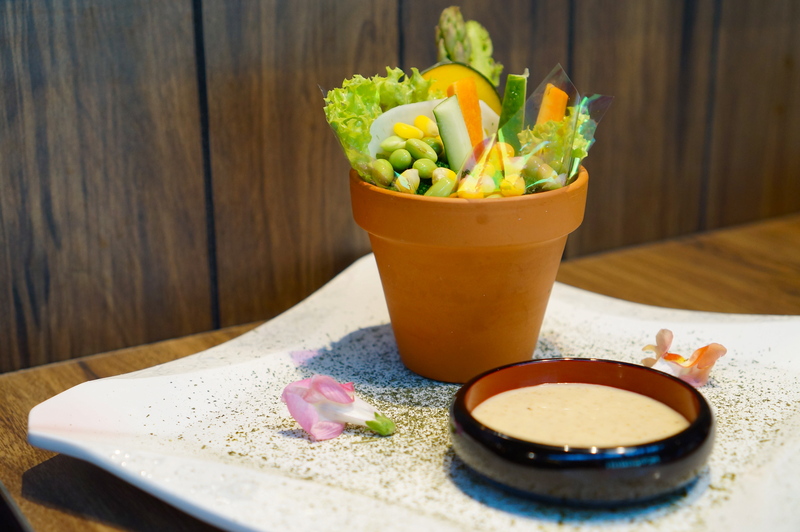 Garden Salad [Assorted Fresh Vegetables, Crabstick, Flying Fish Roe & Potato Salad w Sesame Dressing] ($14.80) – Apart from being really photogenic, this salad was fresh and refreshing, and packed with lots of nutrients! The potato salad that was buried at the bottom was really smooth and tasted vastly different from the usual Japanese potato salads. 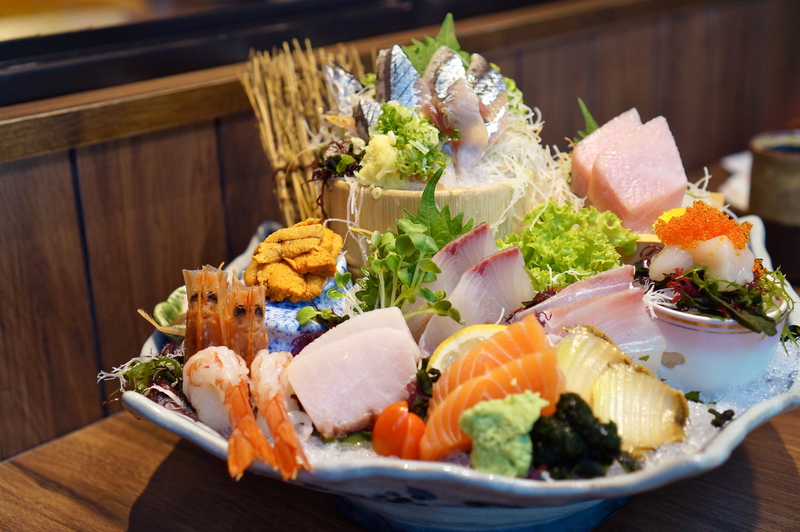 Today’s 8 Kinds of Sashimi ($88) – Alright, you’re seeing 10 kinds of sashimi here as Chef was really generous with us, knowing that we are regulars at Kuriya. 😀 As always, the sashimi selections here are top-grade! The unique factor of this sashimi platter was the truffle paste that comes at $2.50. It goes extremely well with white fish (sea bream, yellowtail etc. ), enhancing the flavours with its strong truffle taste. Where else to get truffle paste at $2.50? Some close-up shots of the fresh catches! That’s the truffle paste on the left. 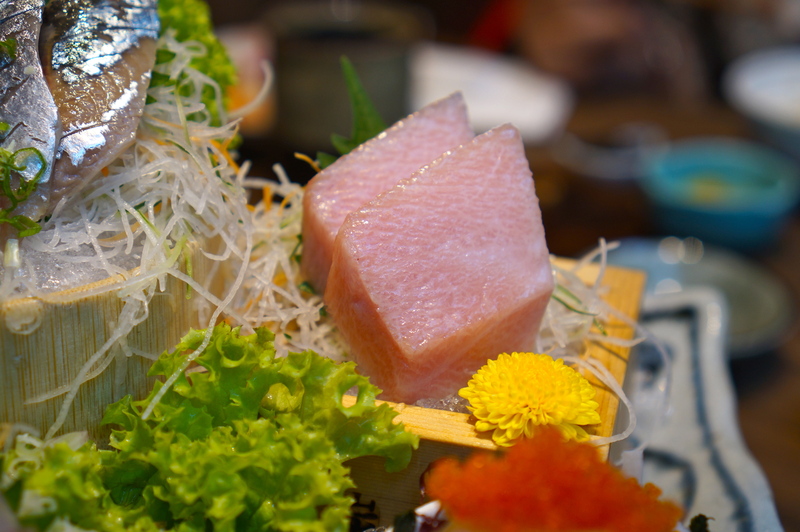 I just had to include this shot… just look at the marbling of the tuna belly. You won’t be able to imagine how it melted in my mouth. Simply orgasmic. 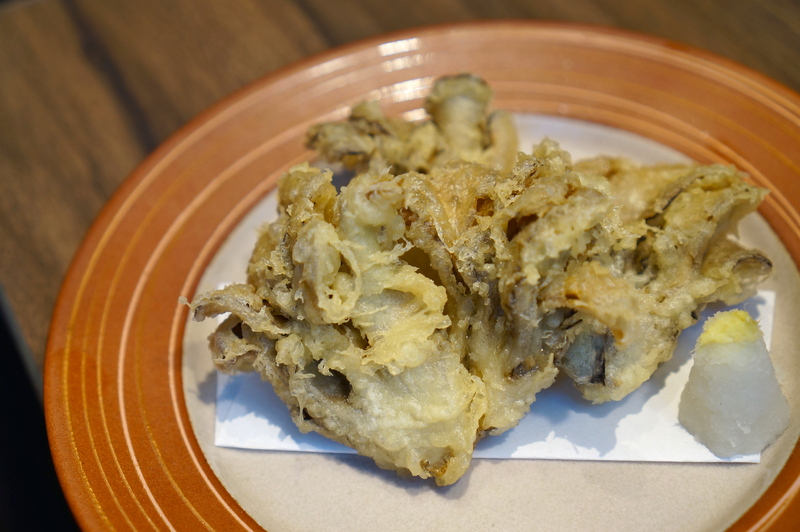 Mushroom Tempura [Special of the Day] ($8.80) – Gone are those greasy tempuras with dense batter. This one here was surprisingly light, with the perfect amount of batter coated on the mushrooms, and deep-fried till crunchy. Tempuras should be enjoyed like this. 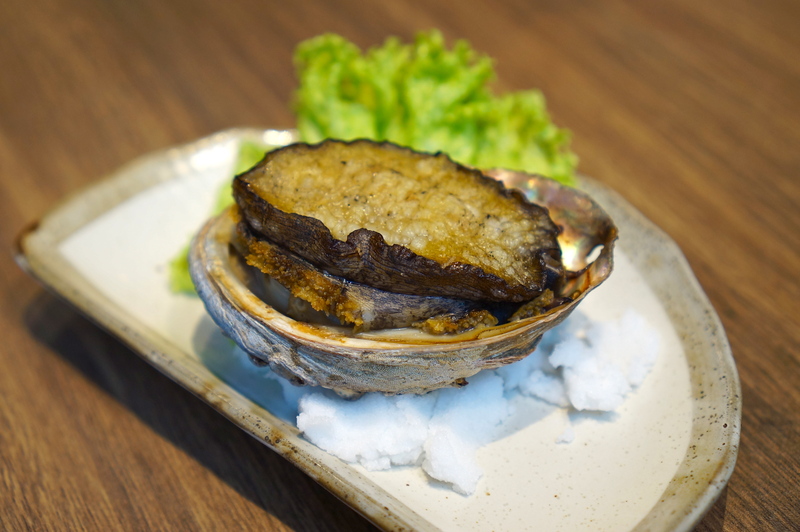 Grilled Fresh Abalone ($15.80) – Woohoo! Here’s my budget abalone, that is not at all budget in terms of taste! I expected it to be rather tough and chewy but I couldn’t be more wrong. The abalone turned out to be more tender than normal beef steak, giving you a QQ texture and a taste of the sea. Grilled Salmon Belly – As you might have already known, I’m a huge fan of grilled salmon belly. If I’m not wrong, this is not on the menu and has to be specially requested! With limited quantities per day, make sure you grab it early before it’s gone. Being a specialist in grilling, you can be assured that Sumiya handled this perfectly well. 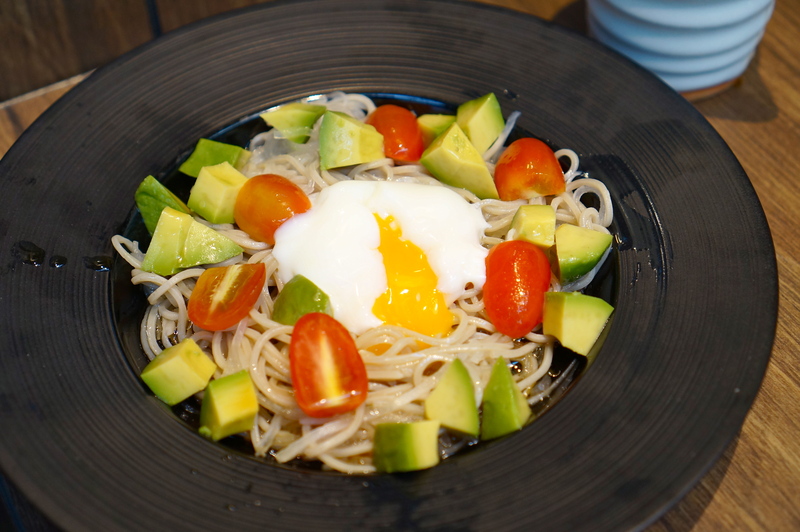 Avocado, Tomato & Poached Egg Soba [Refreshing salad-style chilled buckwheat noodle w olive oil] ($16.80) – If #eatingclean means this, I could do it every single day and I mean it. This is a plate of my dreams – runny egg, avocado and tomatoes. Has the chef read my mind? What’s more, this dish is not as simple as it looks. Shredded radish was thoroughly mixed through with the soba to create that mind-blowing crunch and freshness. A must-try at Sumiya!! Steamed Brown Rice [Lunch only] ($4.80) – For the health-conscious ones, here’s the first Japanese restaurant you can head to for brown rice. 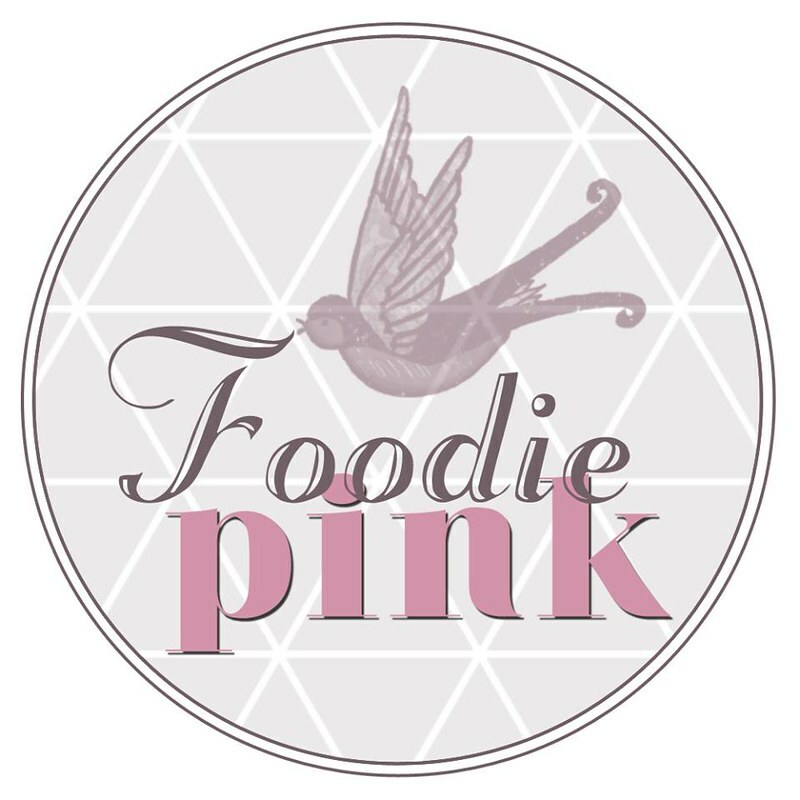 From this past onwards, I’ll be sharing about my dinner tasting session! 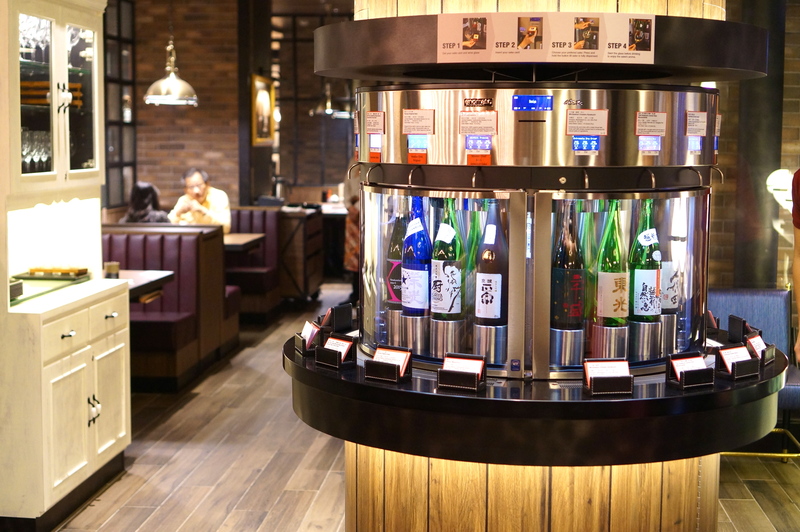 As you may have noticed in the first photo, Sumiya proudly owns a wine dispenser, that holds 16 different types of sake ranging from lighter, easy-to-drink brews to premium, more full-bodied varieties. The machine dispenses portions in 20ml (tasting), 60ml (half) or 120ml (full) portions. Prices start from just $2.20! *jaw drops* Can’t decide which one to take? There’s a in-house certified sake sommelier to assist you with it! 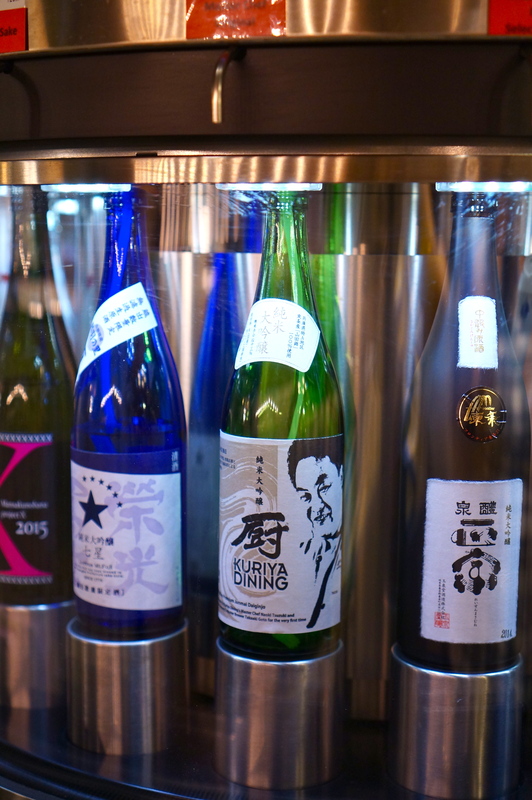 Sake connoisseurs, you may want to make sure that the sommelier is in to exchange notes with you! Kuriya has its own an original premium “house sake” made from 100% superior grade Yamadanishiki rice, which wields a subtle fragrance! Fresh Bluefin Tuna Mixed Cube Sashimi [Cubes of Otoro, Chutoro, Akami] ($48) – What more can I say? Love, love, love. Fresh Scallop in Soy Sauce-Dashi Broth ($11.80) – After trying the grilled abalone for lunch, I was glad that the grilled scallop was up on the menu during the tasting session. The homemade soy sauce-dashi broth was so tasty! It complemented the fresh scallop really well. You know how scallop skirts are usually chewy and rubbery? This, was crunchy. An extremely delightful starter, tinged with a tantalising smokiness! This is irori genshiyaki-style, where the fish hits the open charcoal pit after the ‘sun-dried’ process in the fish-drying machine. Today’s Homemade Dried Fish: Renkodai (a type of sea bream, $28.80) – My first taste of dried fish. The meat is definitely more flavourful as compared to HK-style steamed fish, where the flavour comes from the sauce. In this case, the flavours are infused into the meat itself. My only gripe was that the fish had lots of bones, typical of most seasonal fish. That said, Renkodai has some beautiful and tasty meat, in contrast to the more expensive and boney Kinki fish. 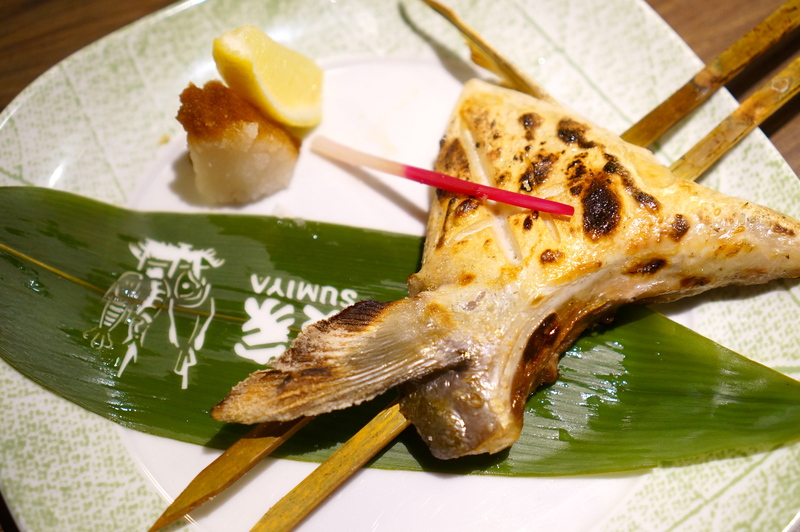 Grilled Yellowtail Collar w Salt ($20.80) – For those who prefer less bones in their fish, this is the one for you. The portion may look puny, but it’s packed with lots of meat and good to share between 2! Grilled simply with salt, it’s really the best way you can enjoy yellowtail! Another must-have at Sumiya. Today’s Chef’s Ryoshi Mushi: Kodai (sea bream), Hiroshima oysters, prawns, Hamaguri clams (Open price) – The top pick of the night definitely goes to this Japanese-style hot pot. 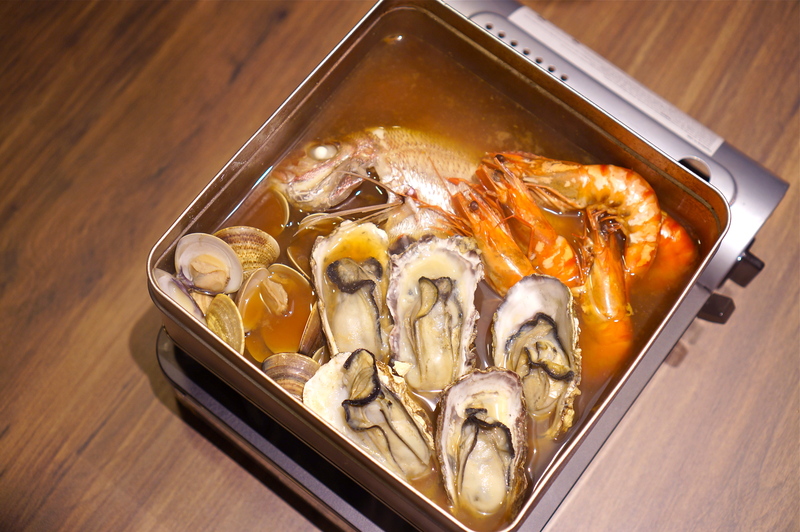 Inspired by the way Japanese fishermen cook freshly-caught saefood in a tin can on the boat or on shore, Sumiya offers this special aluminim tin filled with broth and various types of seafood! We had the Soy Sauce & Miso-base Soup with Garlic and Chilli and it was so SHIOK! Catered to Singaporeans, this is one addictive broth that you’re sure to wipe clean of. The spicy aftertaste and slight burning sensation at the back of your throat after every mouthful, will be one of the best gastronomical delights you’ll experience at Sumiya. You can choose to have an Oysters-only pot ($32 for 8 pieces) or an assortment of seafood (pictures above). My vote goes to the oysters which were so plump and fresh – one slurp down and you can taste a slice of heaven. Sumiya Tropical Dessert [Cubes of mango, watermelon, rock melon, sago, green tea ice cream, red bean paste in coconut milk sauce, served in hand-carved ice bowl] ($18.80, Limited to 15 portions per day) – Japanese bobochacha? I guess you get the drift of how this dessert would taste! A refreshing spectacle for both the eyes and the tastebuds indeed. Want to impress your date or mum? Make sure your pre-order it before it gets sold out! Pumpkin-filled Karinto Manju w Matcha Ice Cream ($8.80) – These manjus are specially imported from Japan! It’s like a dessert version of zhamantou, with pumpkin in its core. I enjoyed this one a lot – uniquely Sumiya. Mango & Yoghurt w Matcha Ice Cream ($8.80) – A crowd-pleaser, this should get a nod of approval around the table. Creamy, sweet and sour, it’s a perfect end to a fantastic meal. Many thanks to Rachel for hosting the fabulous dinner!